As Information and Communication Technology (ICT) evolves, unmanned train operation has become norm by using wireless communication technology such as IEEE 802.11. Such a train control system based on wireless technology is called Radio Frequency Communication Based Train Control (RF-CBTC) system. IEEE 802.11 is widely used for RF-CBTC system since IEEE 802.11 is able to operate in license exempt Industrial Scientific and Medical (ISM) band. With the emergence of smartphone, devices using IEEE 802.11 have increased dramatically leading to severe interference to IEEE 802.11 based RF-CBTC system. Since safty of train depends on the reliability of RF-CBTC system, RF-CBTC system must provide reliable communication schemes. This paper proposes HiNet, which is a novel solution to providing a reliablity and efficiency in RF-CBTC system. 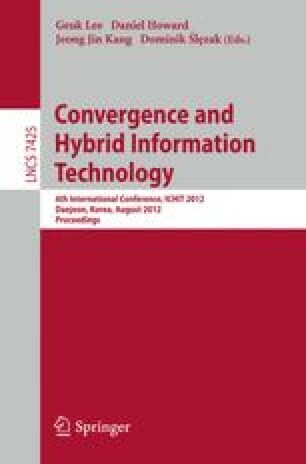 HiNet takes advantage of network coding and hierarchical modulation in IEEE 802.11 architecture. By jointly using network coding and hierarchical modulation, we show that HiNet is able to provide both reliability through the rateless property of network coding and efficienty through the flexibility of hierarchical modulation. Our simulation results using MATLAB corroborate our intuition that joint use of network coding and hierarchical modulation is able to provide communication reliability and efficiency in RF-CBTC system. The research was supported by a grant from the Academic Research Program of Korea National University of Transportation in 2012. This research was supported by Basic Science Research Program through the National Research Foundation of Korea(NRF) funded by the Ministry of Education, Science and Technology(2012R1A1A1014610).